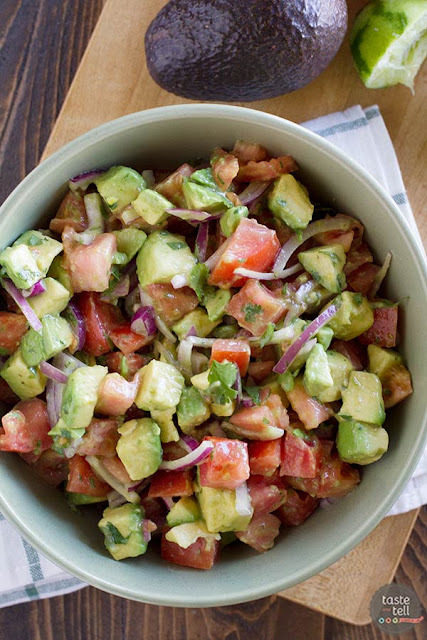 In a large bowl, combine the tomatoes, avocados, red onions and cilantro. Squeeze the lime juice over the top and drizzle with extra virgin olive oil. Gently stir. Taste and add salt as needed.